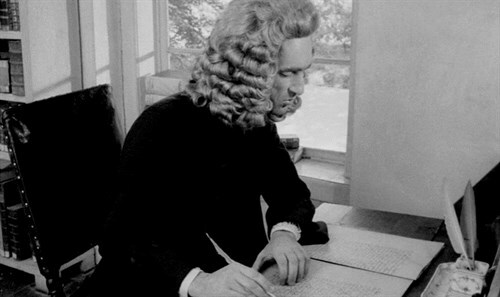 Using letters Anna Magdalena Bach wrote to her husband, seminal composer Johann Sebastian, filmmakers Jean-Marie Straub and Danièle Huillet created one of the most precise, rewarding biopics ever put to screen. CHRONICLE OF ANNA MAGDALENA BACH’s intense emotional pull can be understood by its status as a musical film in the most thorough sense: its performances—staged as extended sequences set within the very spaces once occupied by Bach himself, with trained performers both donning and playing items accurate to the period—are immense, bringing us closer to the sound than was ever thought possible. Immaculately restored on the occasion of its 50th anniversary, this chronicle invites viewers to experience a bygone age.